It’s that time of the week again! 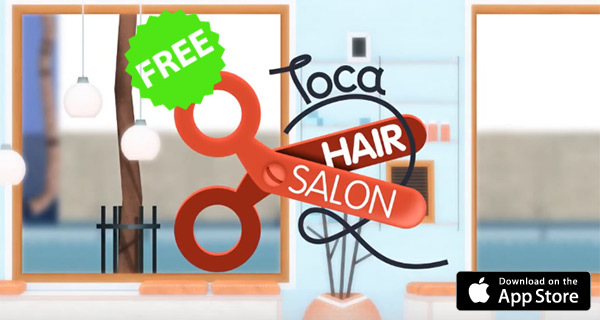 We have yet another app, Toca Hair Salon 2, going free for limited period of time courtesy of Apple’s Free App of the Week promotion. This week’s title usually costs $2.99 on the App Store but can be downloaded right now for free till next Thursday. Toca Hair Salon 2 is a title that is tailor made for kids aged 9 to 11, and this is apparently the very first time since its release that the app has completely dropped its price tag on the App Store. The whole idea is to run your own hair salon, as the title itself suggests, complete with a variety of tools and accessories, while also being able to take the job up with six different characters. Toca Hair Salon 2 may seem a bit silly for the grownups, but as a platform meant solely for kids, it is hard to argue with the creative stimulation and freedom of expression that it brings to the table for the young ones, especially when considering that the developer has been in this business for a while now, with other popular kids-oriented titles as well. 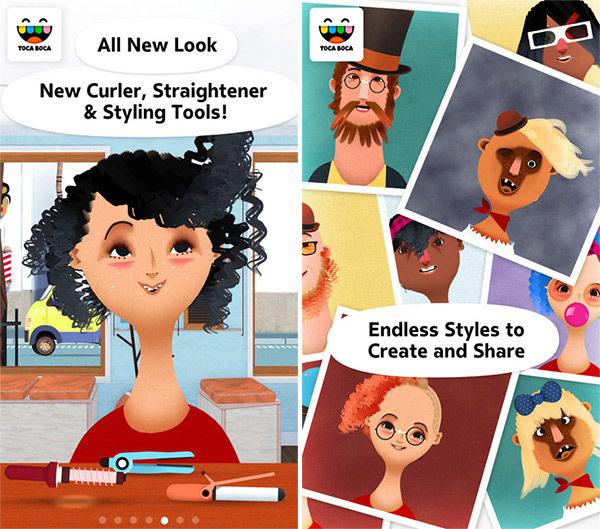 In this kid-friendly, super-creative app, you get to run your very own hair salon, with six fun characters to choose from. Cut, color and style any way you want, using lots of different tools – from a simple comb and scissors to a curling iron and a straightener. Trim mustaches, spray mohawks bright pink and give someone the curls they’ve always wanted! To download the game, simply head over to the App Store and grab it for free. As mentioned earlier, this offer is only valid till next Thursday.